Rebecca Aris interviews Hajo Rapp, Senior Vice president, Account Management, and Market Development at Siemens on its successful implementation of key account management and his view of how the pharma industry can make KAM work. As pharma moves towards a more tailored effort based on customer value, behaviour and attitudes there is a lot to learn from companies who have adopted such trends. In this new series ‘External perspectives’, we will be hearing from individuals from outside of pharma on their view of the industry and what advice they can offer. To start this series, we hear from Hajo Rapp of Siemens who shares his advice on successful implementation of key account management. RA: Hajo, could you please start by explaining your role within Siemens? HR: I’m leading a small team of experts in the headquarters in Munich. We define and harmonise the standards of how Siemens serves our key customers. RA: How do you define key account management? HR: In practise, key account management has to be defined case specifically, depending on suppliers, markets, customers and the channels used to interact with them. To us key account management is a supplemental sales approach that’s indicated to key customers. The key account manager is the customer expert and architect of structure and the relations. He or she builds and drives the customer-specific Siemens sales team to professionalise their relationships and to increase our share of wealth. RA: Siemens has really embraced the KAM approach. Could you describe the journey that your company has taken in guiding their KAM strategy from infancy to maturity? HR: We started in the 90’s in the IT arena and in our manufacturing businesses. Key account management was growing in IT because there was a centralised person, the CIO, asking for somebody at the supplier side covering the same bandwidth of topics globally as him. At the same time in the manufacturing industry (e.g. automotive) the purchasers tried to aggregate their purchasing power in order to make sure that the delivery of parts they needed for production was secured. And now, two decades later we have grown several more key account management programmes for vertical markets, e.g. Pharmaceuticals. In the future we expect more and more differentiation in sales. On the one hand customers need very cost-efficient sales channels (distribution) and on the other those that offer a customised treatment and close customer proximity will win. So KAM will continue to grow within Siemens. RA: From your perspective, what has been the biggest challenge in adopting a successful KAM strategy? HR: Key account management is generally something quite different from general transactional sales so you always have to deal with two different worlds of personal experiences and perceptions. It is integral to build the right teams and have the right spirit in the sales organisation. It is even more important to have management buy-in because key account management is typically acting across organisational borders like business units and / or regional organisations within a company. RA: What advice would you offer for monitoring KAM effectively? HR: This has to be treated very differently in different markets. Monitoring KAM is dependent on the sales concerned and the channels that you are using. Pharma is quite a regional business normally and my understanding is that pharma is mostly quite in direct contact with customers, not including the many sales channels like distributors. The organisational setup can be, therefore, quite close to the primary organisational sales setup. Because of this, monitoring can easily be more than just thinking about order intake per customer (which you would have typically in complex global relations) but also e.g. about profitability of customers. The important differences here are customer proximity and the long-term view. In transactional sales you think about monthly or quarterly figures. Key account management is about the development of a customer-specific USP and a customer-specific strategy with a perspective of at least three years. RA: What advice would you offer on integrating a top-down strategy in directing and facilitating the KAM approach? HR: Again it depends on the individual situation and the people within the company. I would always try to find top management with sales experience and make these people the first supporters of the key account management programme. Then in the second step, make as many people as possible in top management talk to customers and get their input from them as to what they would like, how they would expect to be treated to make it easy for them to deal with the suppliers. 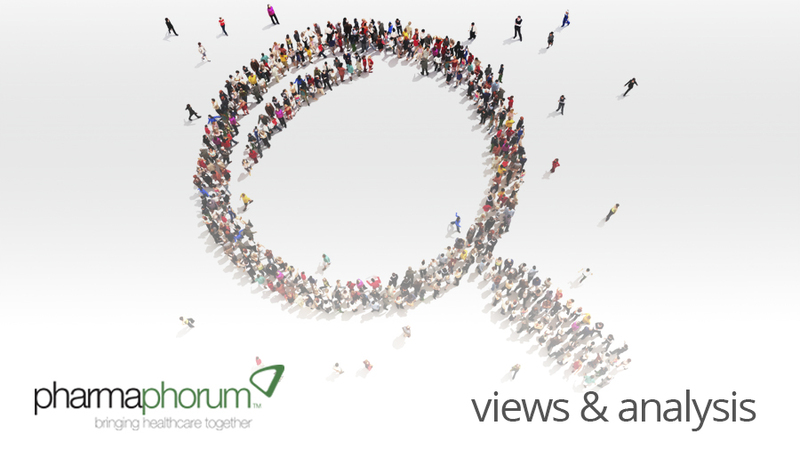 RA: What advice would you offer to an industry such as pharma who are in the early stages of adopting a KAM strategy? HR: I would start with a small group of key customers where you dedicate a key account manager and then develop experiences as well as success stories, followed by an internal brand to make people understand what key account management is about and can deliver. It’s important to start small and with a high quality. RA: Thank you very much for your time and for your insights. Hajo Rapp is SVP, Account Management, &amp, Market Development, Siemens. What are your top tips on successful implementation of KAM ?